Perennial. Zone 2. 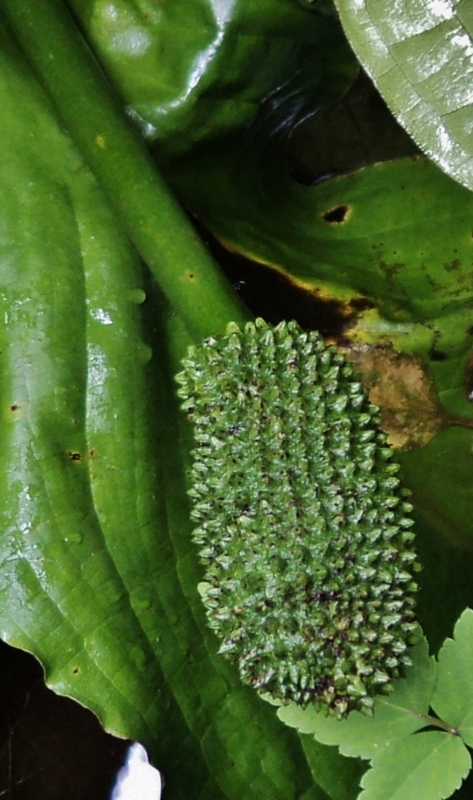 Dipsacaceae – Teasel Family. Native to Turkey and Iran. The genus name Cephalaria originates from the Greek kephale, “head”, and ala (alaria), “winged”, in reference to the large outer petals of the blooms. Tchihatchewii is after the Russian naturalist and biologist Pyotr Alexandrovich Chikhachyov (alternatively Chikhatchev/Tchihatchev), 1808-1890, who traveled widely throughout his long life and documented the flora of Asia Minor in his 3500-species Herbarium Chikhatchev. This big, back-of-the-border, trouble-free plant has thrived here for almost twenty years. It originally arrived as part of an order of interesting perennials from a small, now-defunct Canadian prairie mailorder nursery. It has given me a whole lot of pleasure over the years, and has received a lot of positive comment from garden visitors. Occasionally we dig it up and move it to a new position, knocking a division or two off to share with others, and it always settles back in without any issues, other than shorter bloom stalks for the season of the move. 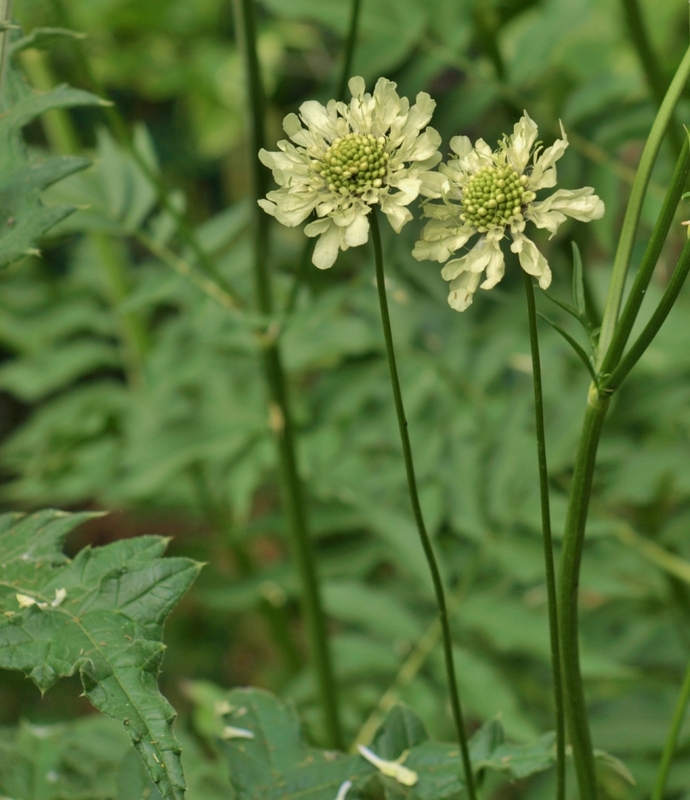 Great big clumps of raggedly cut foliage reach 2 or 3 feet tall and wide, and send up many tall, multi-branched stems, 6 to 10 feet tall, which are starred by round, creamy sulphur-yellow, white-stamened “pincushion flowers” in July and August. 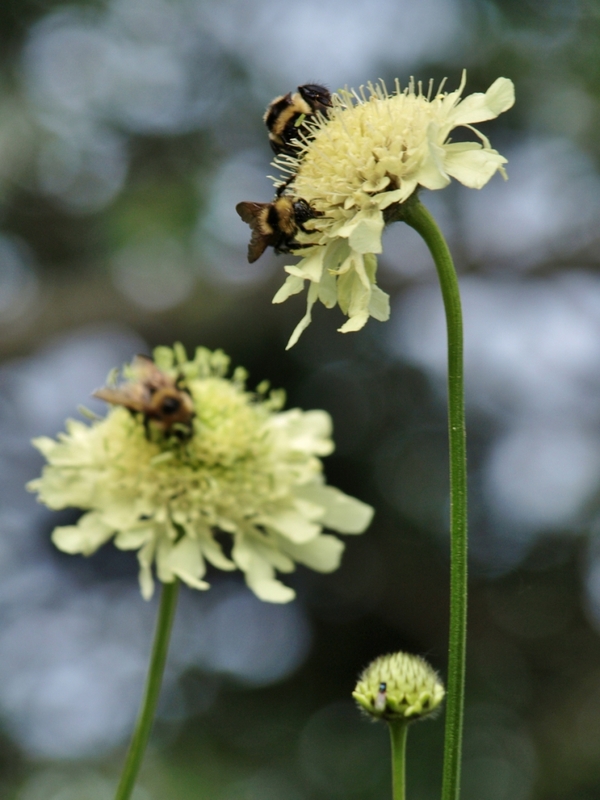 Bees and butterflies of all sorts love Cephalaria, as they do its close relation Scabiosa. This plant is not particularily showy in the traditional sense of the word, but it is decidedly attactive. It is a good accent plant for others sharing its bloom season, and is a long-lasting cutflower for mixed bouquets. Place it mid or back of the border, where the graceful blooms can be best appreciated as a foil for the other things sharing its space. It doesn’t generally need staking. Bloom stalks with their bristling, rounded seed clusters may be left intact to delight small birds in autumn, or cut back in the interests of garden tidiness. It will self sow if allowed, but we have found young plants easy to remove from where they’re not wanted. One plant is probably enough for any but the most expansive garden. Tchihatchev’s Cephalaria has a number of equally garden-worthy relations, including the well-known Cephalaria gigantea – just as large, with identical blooms – I’m not quite sure what the botanical differences are, because they look pretty well interchangeable to me – and Cephalaria alpina, slightly smaller and more compact at a mere 4 to 6 feet. Sun is best, average soil and moisture. Quite drought tolerant, but not what I’d call a true xeriscape plant, as the foliage yellows in very dry locations, and flower production suffers. Perennial. Zone 2. Compositae. Syn. Achillea eupatorium (obsolete). Eupatorium referred to the plant’s native presence around the city of Eupatoria (Yevpatoria) on the Crimean coast. The species is native to Europe’s Caucasus Mountains, Turkey, Iran, Central Asia, and Afghanistan. There are a number of improved cultivars which are widely grown in gardens. ‘Cloth of Gold’ is a well-known older variety, which received the Royal Horticultural Society’s Award of Garden Merit in 1999. 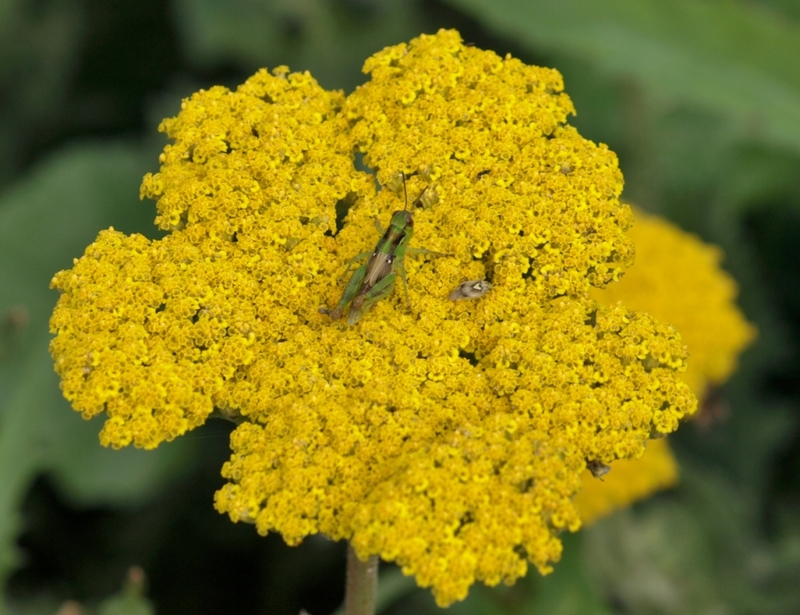 Poor Fernleaf Yarrow – it seems to be named mainly for its resemblance to other plants! The specific names filipendulina refers to its foliar similarity to Meadowsweet, Filipendula species. The common name “Fernleaf” needs no explanation. Achillea eupatorium (sometimes called A. filipendulina) is a tall-growing, vigorous, herbaceous plant, somewhat woody in its lower growth. 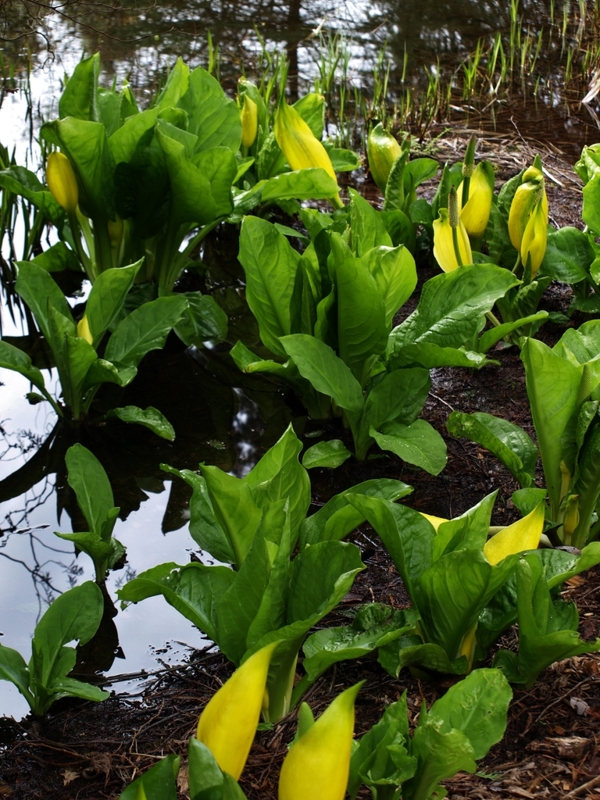 Its flowering corymbes are flat, bright yellow in colour, and elevated on stout stems to a height of 3 ft. to 4 ft.; they retain their beauty and freshness for at least two months. This is admirably adapted for a shrubbery border, where its brilliant yellow flowers and its erect habit of growth show to wonderful advantage amongst the evergreen foliage. It is native to the shores of the Caspian Sea, and is one of the finest of perennials. 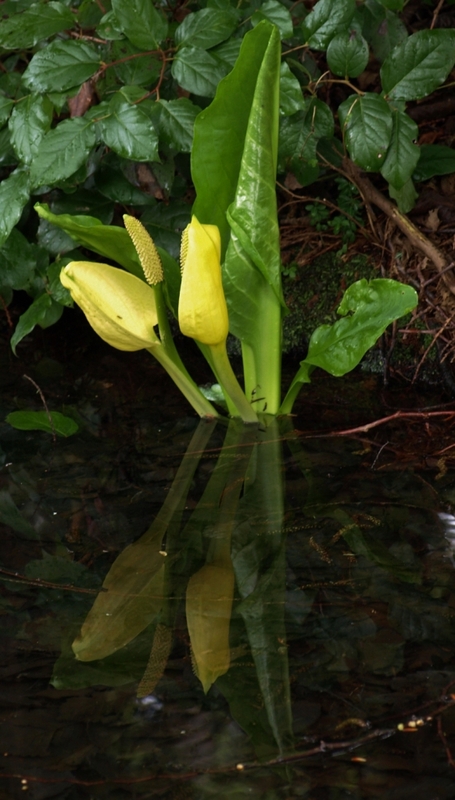 Shining yellow flowers in flattened domes top strong 24-inch or taller stems. In habit, Fernleaf Yarrow is a non-invasive clump-former. Foliage is light sage-green, and warmly aromatic. 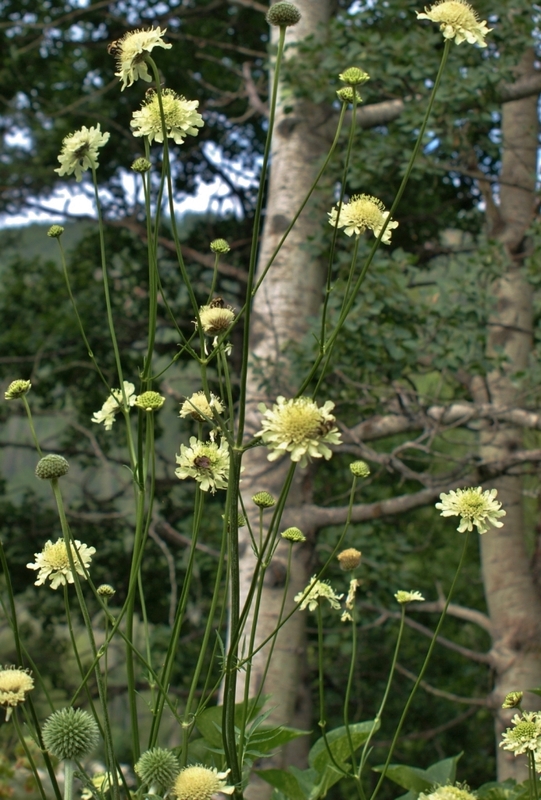 This is a superb everlasting and cutflower – heads can reach 5 inches or more across. Some years ago, when I was growing everlastings and making wreaths and arrangements for sale, this was outstanding for its effect and attractive colour. Fernleaf Yarrow is one of those bombproof plants which just keep on looking good (or at the very least decent) even in challenging conditions. It has times of great beauty – new spring foliage is downy-soft, pleasingly aromatic, and elegantly fern-like, while the huge corymbes of tiny, bright yellow flowers remain gloriously untarnished for an astounding length of time – but even when the gold fades to brown and the leaves get a bit dusty-looking round about the beginning of autumn it remains upright and respectable. This plant is a star of the xeriscape garden, thriving in sunny and dry locations, though it is appreciative of some supplemental moisture at summer’s peak. 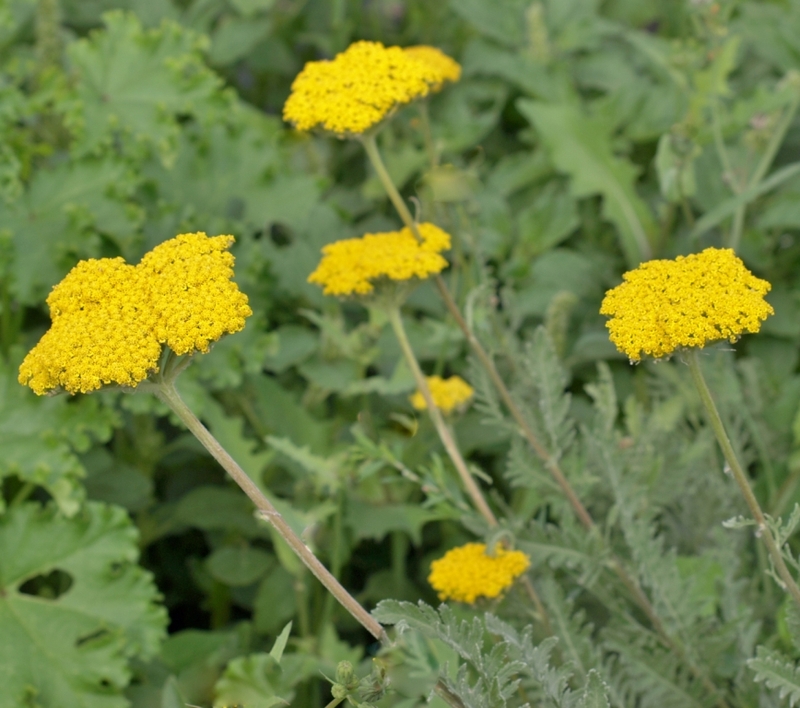 However, too rich a soil and too much moisture will cause Fernleaf Yarrow to produce lush foliage at the expense of flowers. 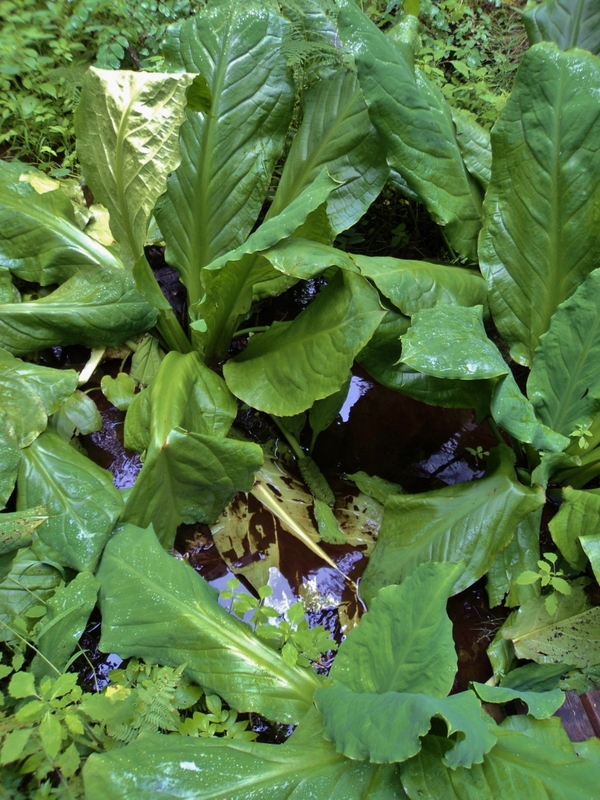 This plant is reputed to be very deer resistant, likely because of its downy foliage and high aromatic oil content. Annual/Biennial. Zone 2. Fumariaceae. North America. Widespread throughout North America, in particular in areas disturbed by development, logging and forest fires. 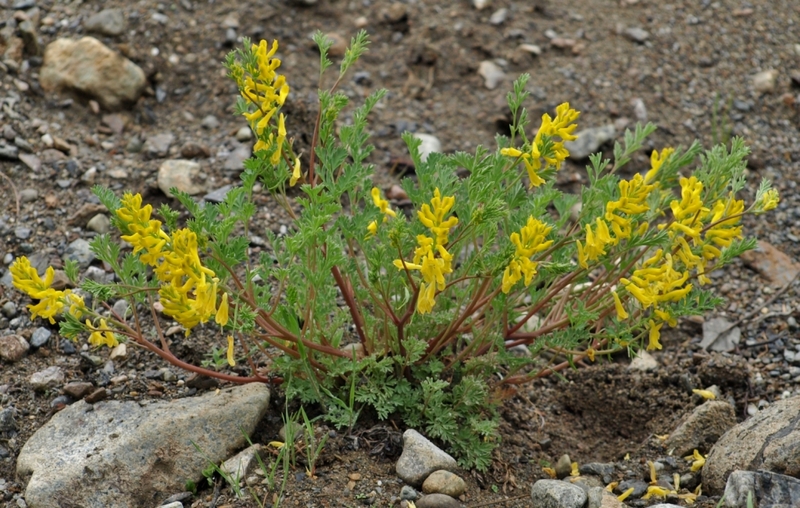 Common in the Cariboo-Chilcotin on recently disturbed ground – on graded roadsides, in gravel pits, and in newly logged areas. This interesting and largely ephemeral early spring bloomer is occasionally abundant and always something of a surprise to see, appearing in the most unexpected places. Once it blooms in earliest spring, it quickly fades away after casting out its seeds, which can remain dormant for decades until germination conditions are again to its liking. 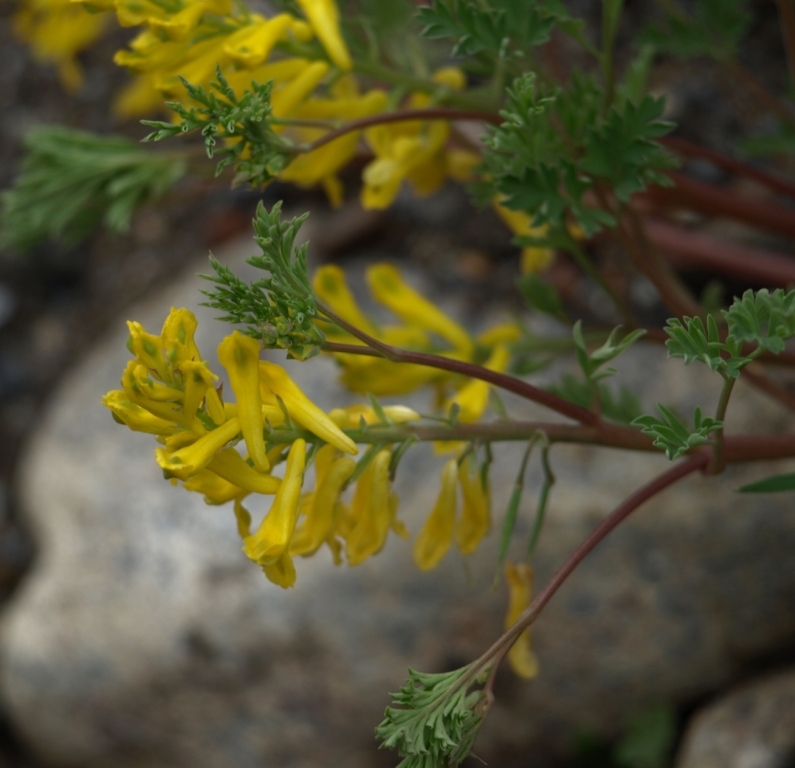 Technically a winter annual, Yellow Corydalis sprouts in the summer, makes an inconspicuous foliage clump which overwinters in semi-evergreen state, and then advances quickly into flowering stage in early spring. By July its life cycle is nearing its end; the beautiful, lacy, grey-green foliage is turning yellow and the plant is fading fast. No sign of it will be left by autumn. Plants expand quickly from their over-wintered rosettes, reaching 6 to 12 inches in height and spread. Roots are tap-rooted and fleshy, with spreading side roots. Foliage is rather “carrot-like” in appearance, being much divided, slightly succulent, and softly blue-green. 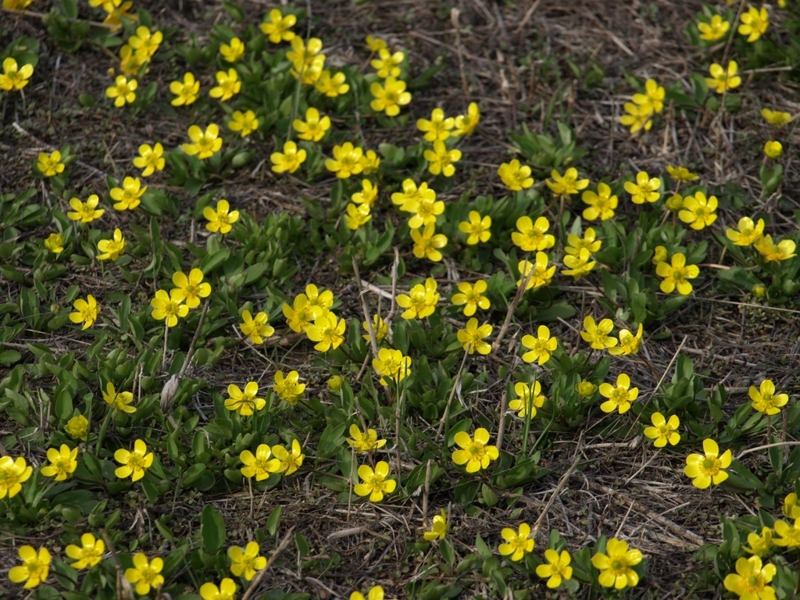 Tubular blooms are bright yellow blushed with green and are produced in great abundance during the few weeks of flowering time. Early-foraging wild bees are attracted to the nectar-rich blooms, and sometimes bore into the tubes to avoid having to negotiate their way past the stamens at the opening of the flowers. Seeds produced by Corydalis aurea are small, black and shiny, and form encased in slender, cylindrical pods. They are very attractive to ants, who aid in their dispersal by caching the seeds in underground storage chambers; it is theorized that when these nests are disrupted the seeds are brought back to the surface where they then germinate in great abundance. 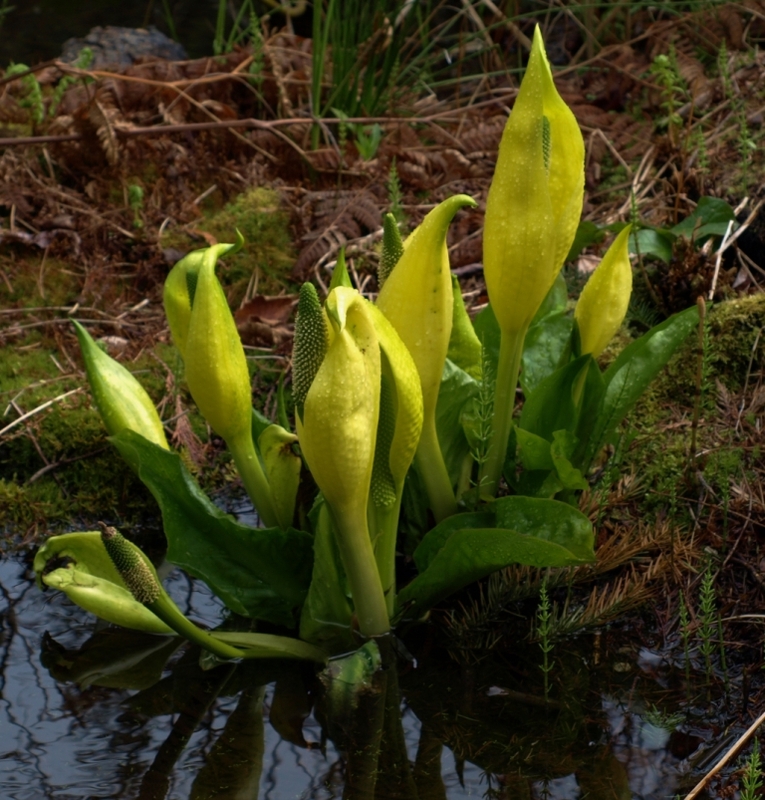 This plant may be introduced into the rock garden as it is very showy in early spring, but as its ongoing garden presence depends upon random germination of the seeds and the plants themselves disappear after blooming, it should be sited with this in mind, and not depended on as a feature plant. 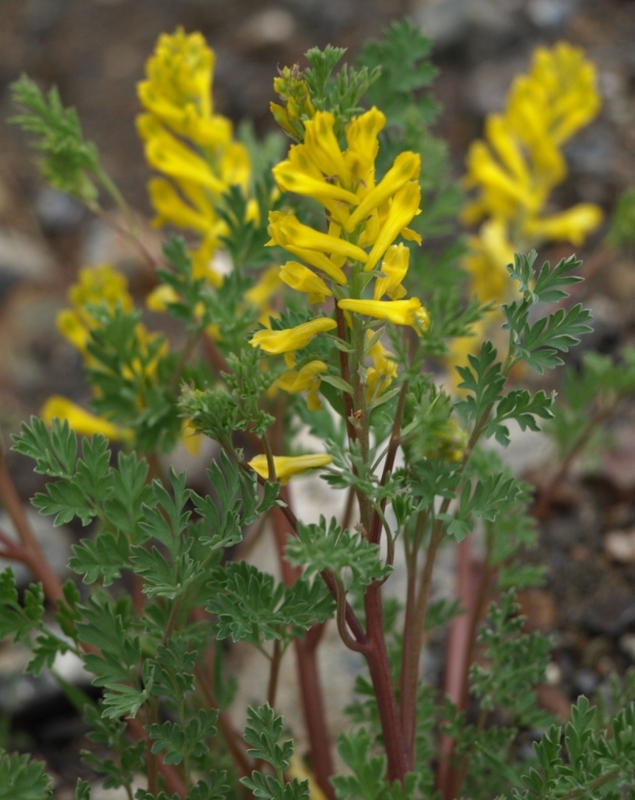 Corydalis aurea is reportedly very toxic to sheep, and less so to cattle and horses, though I am unaware of any poisoning incidents in our region. Because of the plant’s early emergence, and its palatability – sheep paradoxically find it quite delicious – stock owners might be advised to keep an eye out for this plant when investigating their spring pastures before turnout. Perennial. Zone 2. Ranunculaceae. Western North America. Interior and subalpine regions of B.C. and Alberta and into Saskatchewan; in the U.S.A. south to New Mexico, and east to North and South Dakota and Nebraska. We’ve made it through another cold time, for look, here are the buttercups again! This is a tiny creature, but its cheerful blossoms shine like the sun, and a flourishing colony in full bloom is an amazing sight in late April and early May. The specific name glaberrimus means “smoothest”, and refers to the foliage: freshly green, gently lobed, and slightly succulent. Purple-flushed flower buds appear on short stems which lengthen as the flowers open to a height of perhaps six inches at the utmost; most are only three or four inches tall. 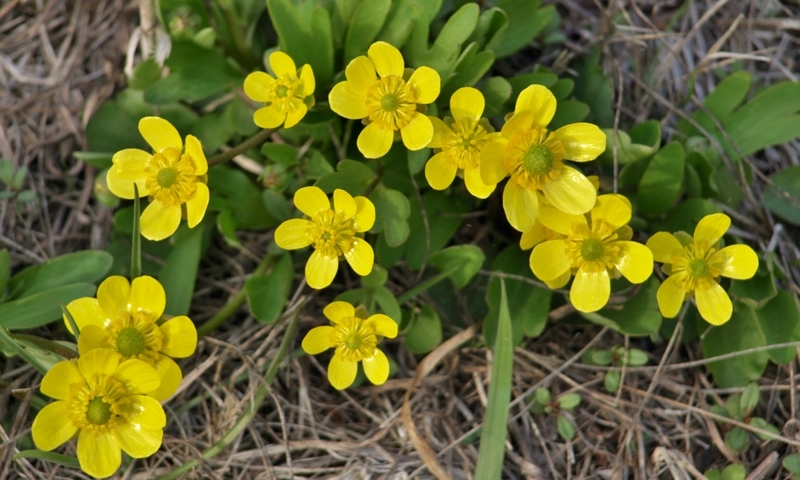 Five-petalled buttercups are typical of their race, being reflectively shiny as to petal surface, with a ring of thick yellow anthers surrounding the protruding cluster of pistils – potential achenes which will mature into ripe seeds in May and June. Clusters of shallowly anchored, thickened, semi-tuberous roots provide the stored energy for R. glaberrimus‘s early spring flourishing; plants remain green through the entire growing season, and an investigation in autumn reveals the next spring’s buds already formed in the leaf axils at the base of the foliage; ready for emergence after a winter dormancy under the snow. 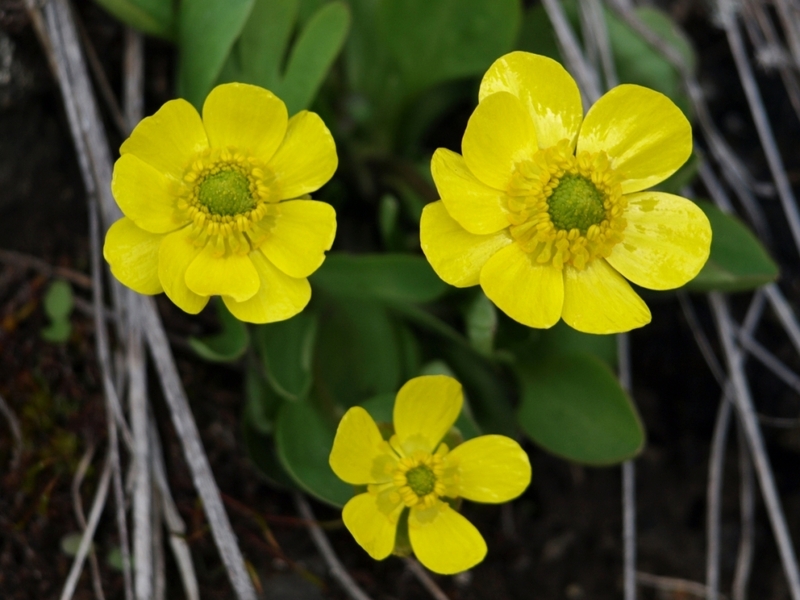 Enjoy this buttercup on your spring rambles; it is locally abundant throughout the Cariboo-Chilcotin, especially along roadsides through the Fraser River valley’s Douglas fir belt, and in the grasslands around Williams Lake. Though I have never been tempted to bring this pretty wildflower into my own garden – it is happily abundant on the grassy hillsides of our farm and makes an ideal excuse for many springtime excursions to check on the progression of the colonies’ blooming – I have seen it established in a number of alpine gardens where it thrives generously, for it appears to be a healthy and adaptable plant. Full sun suits Ranunculus glaberrimus best if its natural habitat is any indication, and it is very drought tolerant once established, though it appreciates springtime moisture.